 The Imperial Symphony Orchestra performs in various locations around Polk County. Parking at the RP Funding Center is pre-paid by the Imperial Symphony Orchestra. 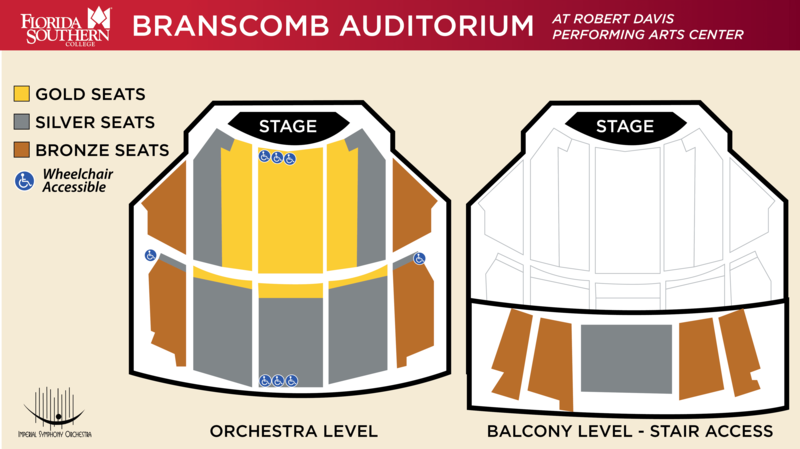 For questions about accessible seating, please contact the box office at (863) 834-8111. Florida Southern College’s Branscomb Auditorium is an ideal location for the ISO’s annual opera production. 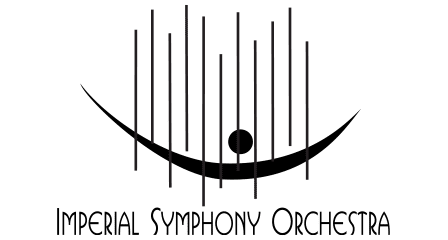 Seating is reserved, and tickets are sold by the Imperial Symphony Orchestra. The Cookie Concert is performed at Branscomb Auditorium, and pre-concert activities take place in classrooms surrounding the Auditorium. Admission is free. The address for Florida Southern College is 111 Lake Hollingsworth Dr. Use 1085 Johnson Ave for GPS directions. Parking in downtown Lakeland is free. 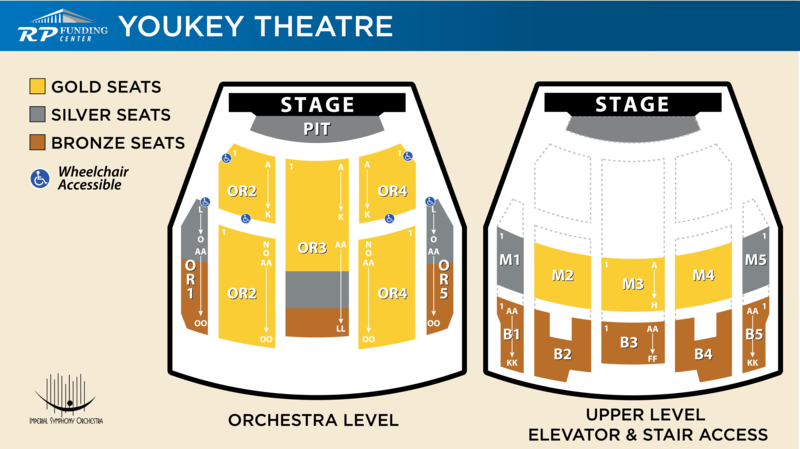 For questions about accessible seating, please contact the box office at (863) 682-7553. Florida Presbyterian Homes hosts Tea & Symphony Pre-Concert Lectures in the chapel. Use GPS address 909 S Lakeside Avenue, Lakeland 33815 for parking and entrance. For questions about accessibility, please contact the ISO at (863) 688-3743. Lake Gibson Village has beautifully restored the original Carpenters Home theatre with table seating as well as theater-style seating. Parking is free. The Pops by the Lake performance is an outdoor concert where patrons are encouraged to bring chairs, blankets and even a picnic. Admission is free. Parking in downtown Lakeland is free. The Lake Mirror Amphitheatre is an outdoor venue maintained by the City of Lakeland. For specific accessibility questions, contact the ISO office at (863) 688-3743. FOSSILS! is performed in the Mulberry Phosphate Museum’s parking lot and patrons are encouraged to bring chairs or blankets. Admission is free. Parking is free and is available off site with shuttle service to the venue. The Mulberry Phosphate Museum is an outdoor venue maintained by the City of Mulberry. For specific accessibility questions, contact the ISO office at (863) 688-3743.